Here's where to watch every episode of Supernanny season 4. Mouseover or tap an episode to see where to stream it. Click or tap the play icon to stream it on the best available service. Drake Family Jan 2, 2008 Donna and Billy Jo Drake’s three children – Josie, 4, and 3-year-old twins Jared and Justin – are adorable… but so lively Mom and Dad are terrified to let their guard down for even a second in case the kids race off! Mom and Dad want nothing more than to pile their children into their sparkling new RV and hit the road for a family camping trip, but they’re so overprotective with the kids that even a walk induces parental panic. Can Supernanny get this family road-trip ready? Du'an Family Jan 16, 2008 Angela and Forrest Duan-Ahn have their kids completely overscheduled, with over 40 activities a week for Christopher, 9, Isabella, 7, twins Lawrence and Benjamin, 6, and Charlotte, 4. Mom and dad reckon they’re helping their kids by exposing them to so many lessons – but they’re all exhausted and stressed out. Can Jo help simplify this family’s hectic life? Terrill Family Jan 23, 2008 A single father needs Jo's help with his two sons, ages 5 & 11 when his parenting skills seem to be lacking. Tafoya Family Feb 27, 2008 Holly and Jimmy Tafoya can’t quite figure out why cursing, spanking and washing their kids’ mouths out with soap aren’t working as discipline tactics. And when Supernanny steps in, Holly shows her the door! Prescott Family Mar 5, 2008 Kadi Prescott just can’t get close to her seven kids: she loses her temper with son Daniel, 7, who has ADHD; and relies on daughter Marli, 8, to be ‘mini-mom’. Can Jo help her fight her past and heal the emotional rift in her family? Banjany Family Mar 12, 2008 Lisa and Rich Banjany run a successful business but although they’re their own bosses when it comes to work, their kids – twins Cameron and Zoe, 5, and Blake, 3 – have definitely staged a hostile takeover when it comes to family life. Can Jo help? McKeever Family Mar 19, 2008 The McKeevers seem to have it all: a big house, nice cars and two gorgeous sons… who have trash talk and home demolition down to a fine art. Can Jo help the McKeevers get control of their boys? Addis Family Apr 2, 2008 Since Grandpa died, the Addis family has fallen apart. Dad definitely isn’t in charge and mom is coming under attack from their four children. 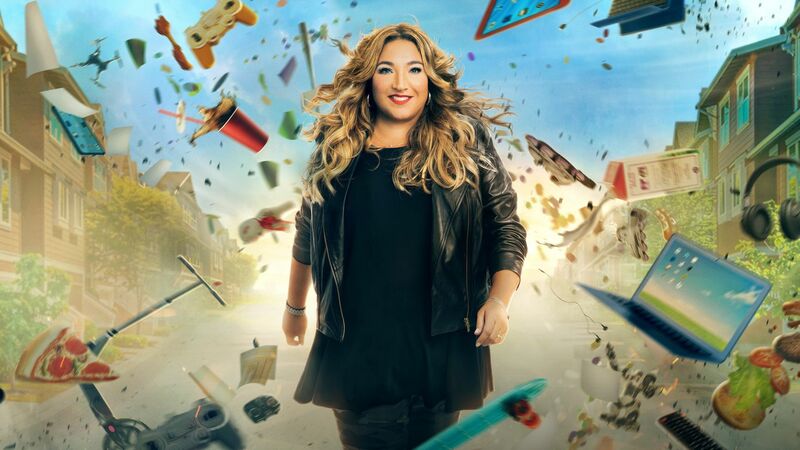 Enter Supernanny, with a surprise the family will never forget! Citarella Family Apr 9, 2008 The four Citarella kids, ages 7, 6, 3 and 1, run rings round mom Debbie – but instead of tackling the problems she focuses on the funny side. Dad Joe just puts in his earplugs when the noise gets to be too much! Can Jo get Debbie to take her kids’ bad behavior seriously? Schrage Family Apr 23, 2008 The Schrages haven’t slept in the same bed in for eight years due to their children’s bed hopping, and mom and dad Christy and Kyle are too timid to set limits and enforce boundaries. Can Supernanny help these parents grow backbones? Clause Family Apr 30, 2008 The Clause kids – Brandon, 10, and Caila, 8 – are ‘tweenage terrors’: disrespectful, manipulative and resentful… but the key to change rests with mom (a total pushover) and dad (too laid back). Can Jo help them get a grip on their kids? Martinez Family May 7, 2008 With her husband Sindo away in Iraq, Michelle Martinez is home alone for months at a time with three rambunctious children. She’s totally overwhelmed and the kids’ behavior is spiraling out of control. Can Supernanny show her how to cope with the pressure? Doyle Family May 28, 2008 Little Lizzie Doyle, 3, is in danger of being kicked out of preschool… big sister Sara, 5, likes sneaking the scissors out of mom’s sewing kit and cutting her own hair… and kid brother Andrew, 18 months, is a dude with a ’tude. Can Supernanny teach these kids that respect isn’t just an Atlantic soul classic? Moy Family Jun 25, 2008 Hailey Moy is a kid on the edge… she beats up on her kid sister, trashes kid brother Matthew’s stuff and hits mom Michele when she doesn’t get her way. Can Jo rebuild the parent-daughter bond and build up mom’s backbone? The Krolikowski Family Jan 5, 2009 Shannon and John both have high profile jobs at a large church, but their home is a far cry from a peaceful sanctuary. All four of their children fight with each other so viciously and so frequently that mom usually intervenes only if someone has drawn blood. That happens regularly because the kids bite, pinch, kick and pull hair for all they're worth. Mom's yelling isn't working, and Dad says he spanks to discipline, since he doesn't believe that timeouts or talking work. But in spite of the hardline tactics, neither parent has much authority. How will Jo deal with these challenges, especially with a dad resistant to her methods?